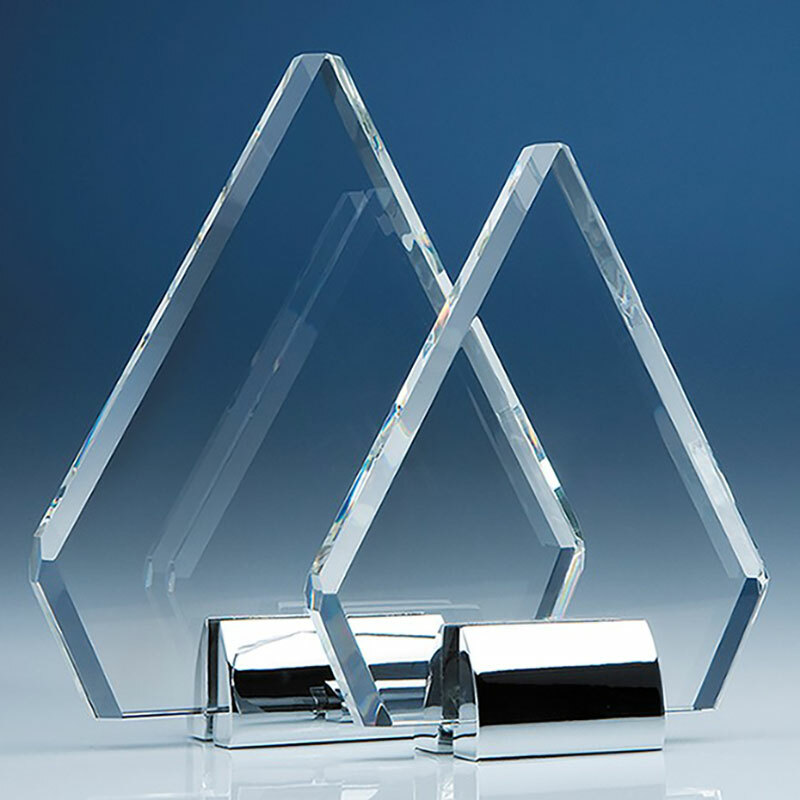 Contemporary crystal awards in diamond shape with thick bevel, mounted on chrome plated stands. 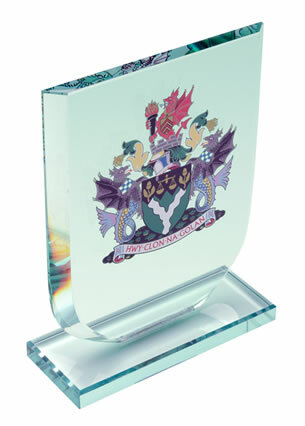 18cm tall, suitable for a wide range of presentations and prizes, and offered with engraving and/or colour print options. The 'peak' shape of these awards provides an instant symbol of achievement. This striking design is complemented by the flawless optical crystal and pristine chrome materials, and the perfectly crafted finish, to create an award that will truly reflect the achievements of its recipients. 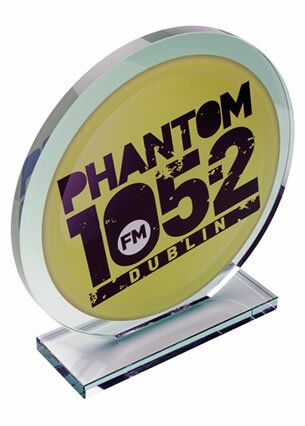 These clear optical crystal awards are suitable for a wide range of events and presentations, from sports trophies to corporate awards. 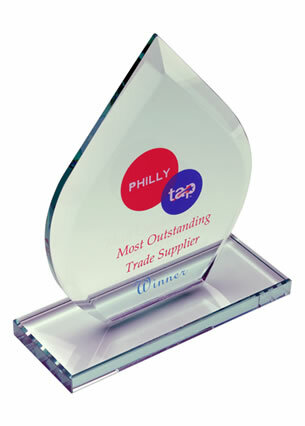 Each award is supplied with an attractive foam-lined presentation box.